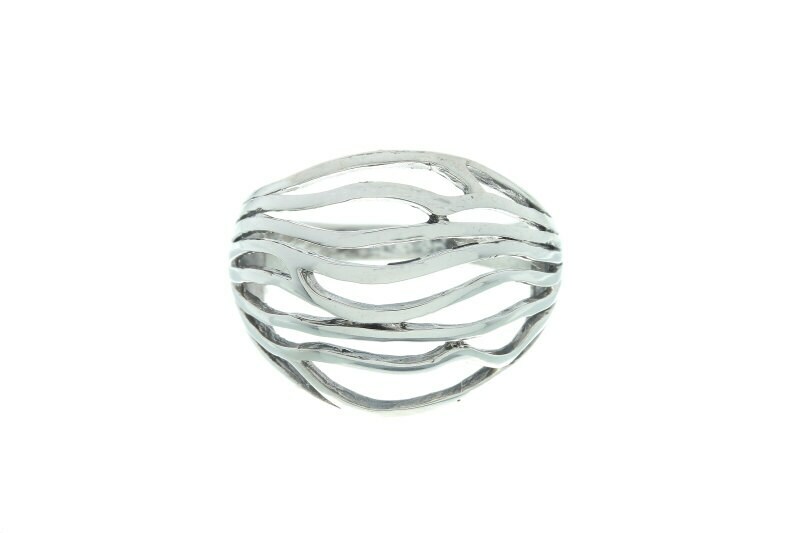 Beautiful abstract sterling silver ring. Concave shape that raises from the finger. 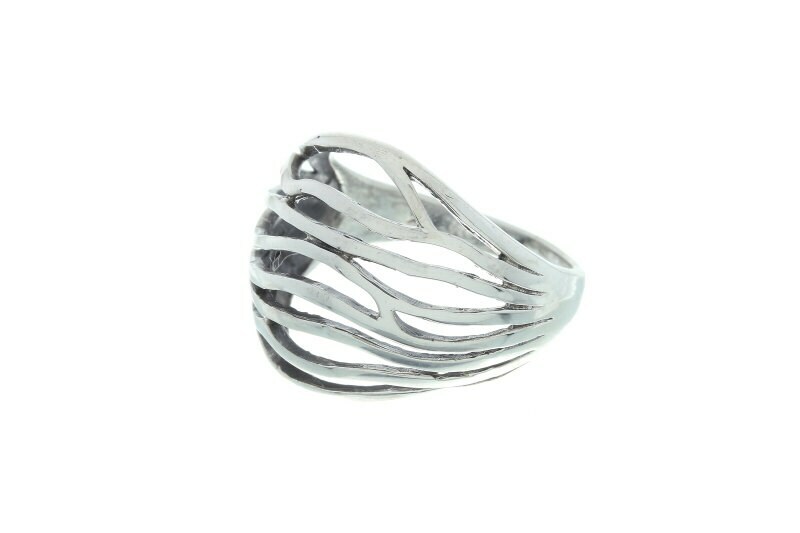 This thick sterling silver band has lovely cut outs of soft waves.